- Window sill qty. callout added to the framing callouts for windows. Looks like I forgot to add the quantifier for the window sill plate. 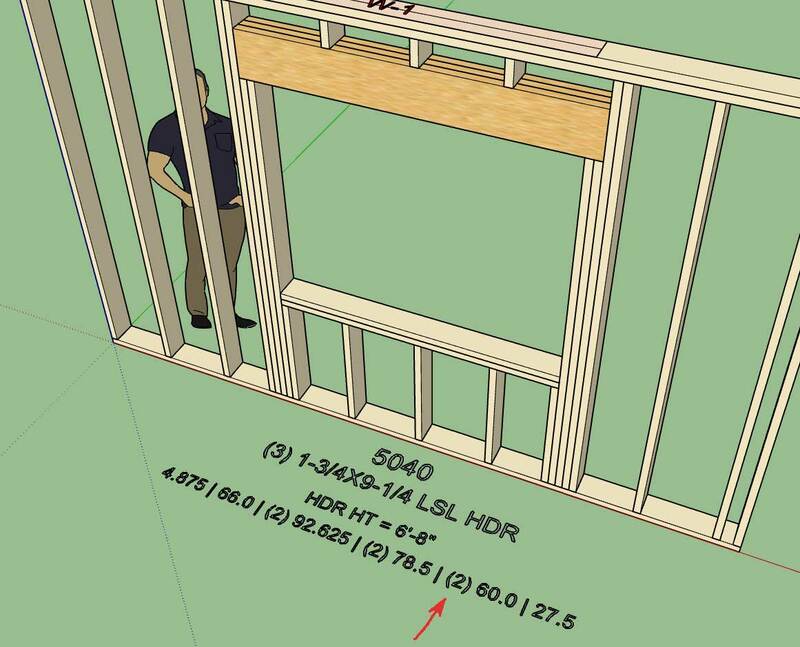 The framing algorithm for stacking windows and doors is going to get very messy, what if the trimmer and kings studs don't exactly lineup? Then the framing gets really interesting. A larger or smaller opening above another will also call for different framing solutions. This one is going to take some serious thought. Why do you designers have to make things so difficult? This one is not really that high on the todo list but it is giving me some serious headaches just contemplating it. Does anyone have any examples (drawings or pictures) of this sort of situation(s)? Necessity is the mother of invention as they say, and as I was creating a small two story model of a garage for local customer today it quickly became painfully obvious that I still do not have a good stair plugin or module. 0.) 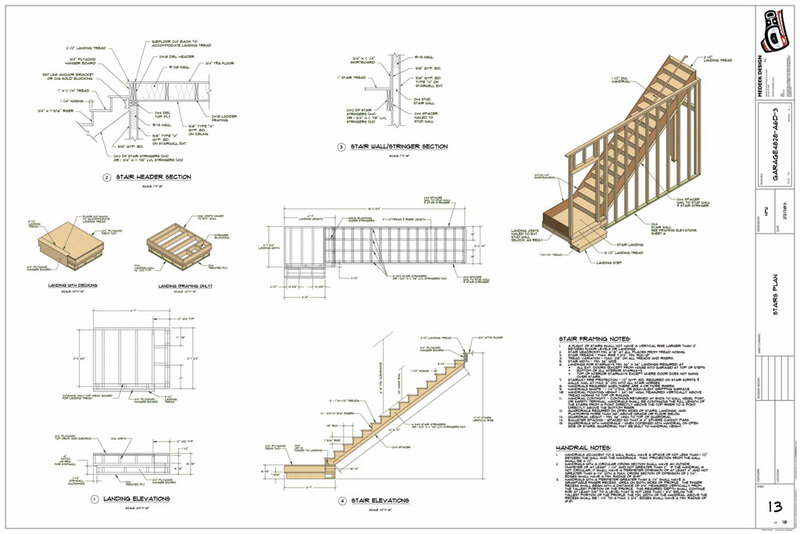 Stair Assembly Name: Auto assigned by the plugin but user can edit this parameter. 13.) Tread Material: Lumber, Lumber PT, OSB, PLY, Oak, Birch, Maple, Pine etc... (custom material from material manager in global settings. L-Shapes and U-Shapes get quite a bit more complicated with the inclusion of a landing. I will start with just a straight run of stairs first. Right of the bat I will start with HTML draw and edit menus, no point in messing around with the traditional UI, especially with such a long list of parameters already. - Created icons for the stair module. Still putting together the HTML menus. It may be a couple days before this module actually produces useful output. I can send you the .skp if that is something useful for troubleshooting. Cursor will not anchor when needing to change direction. This just started when changing parameters in the wall height?? This appears related to a recent change I made to the corner config module, I may have inadvertently broken it. Can you email me your model and tell me which wall in particular is throwing this error. - Critical update with the global settings module. - Critical update with the auto-corner configuration module. I noticed an error that seemed to be common across a number of users and after digging down through the code I think I unearthed the bug that was causing this error. This error was actually caused by a recent change in the code where I was attempting to improve the performance for larger models (0.9.6). I believe this fix should address the bug and also augment the performance for large modules. Sometimes when you try to fix things you break things but in the end it will all work out. - Fixed a typo/bug in the window module (casing). This bug was only an issue in imperial templates and when you enabled casing but not ext. trim. 0.9.8 fixed both Mac and Windows platforms... The only item noticed was sometimes the menu dialog comes up blank (All White). Not all the time and you can refresh the size which brings it back. Is the dialog issue (white) coming up in Windows and Mac? Only noticed on Mac. Have not used Windows updated Ver. yet. Good video... Goods tips. I have to say the best menus you have are ones that pop up illustrations hovering over the item selection. Especially in the Truss selections. Very helpful because we sometimes call components by other names or don’t know the item by name. I would employ this all over. Since the anchoring fix I have been churning out work. Not fast because I’m a novice. I will be excited to see the new Truss custom materials selections come to life. This leads me to ask if in the pipeline you will have a joist system plug-in to build floor decks? Medeek Floor.. . An outdoor deck system plugin? - Removed the wall justification parameter from the draw and edit wall menus. 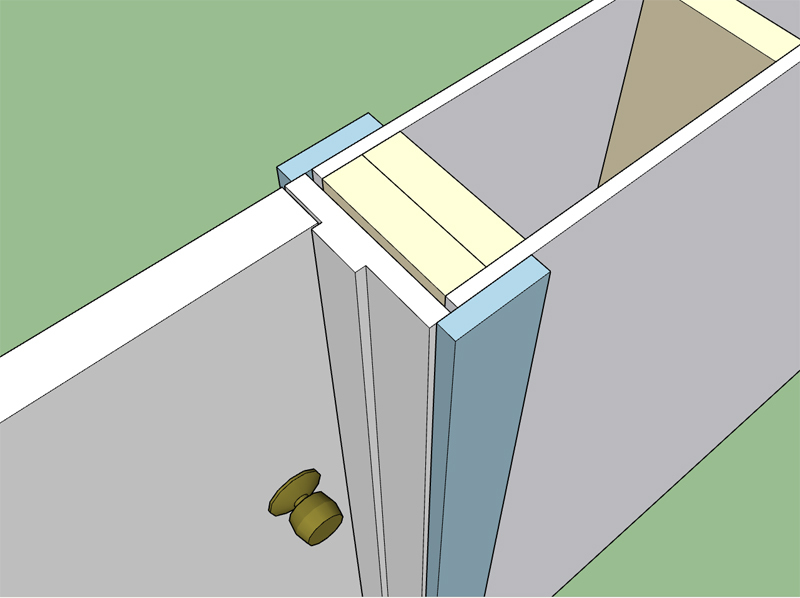 - Interior wall door casing properly configured for both sides of the wall. Today was one of those busy days where most of the day was consumed by emails and phone calls. Its safe to say that most of the day was spent interacting with people and less time spent on the code, not that this is a bad thing. Since I could not dive deep into the gable or stair projects I put out a couple small fires that were a bit lower on the list. Its always nice to knock out some low hanging but troublesome fruit. Prior to this fix all doors created within interior walls were installed with ext. trim on the wall's exterior side. In reality interior doors should have casing on both sides of the wall. Since the anchoring fix I have been churning out work. Not fast because I’m a novice. I will be excited to see the new Truss custom materials selections come to life. This leads me to ask if in the pipeline you will have a joist system plug-in to build floor decks? Medeek Floor.. . An outdoor deck system plugin? I'm glad to hear you are getting some productivity out of the plugin(s). I've been adding tooltips into more of the menus (little blue question marks), however I do need to utilize more images/thumbnails rather than words. Sometimes a picture is much more helpful. The Truss plugin already has a number of I-joists, lumber and floor truss floors available, click on the floor truss icon, the drop down menu will allow you to select from various floor joist systems. Note that this feature is still quite limited since only rectangular floors are currently available but I have plans to make any floor shape possible, similar to the slab tool in the foundation plugin.